Editor’s Note: Liesel Kershul and Joy Craig wrote each other open letters. Neither of the writers saw each other’s before publication. Read Joy’s letter to Liesel. Something you said during our conversation when we met in New York made an impression on me and I’ve been thinking about it ever since. 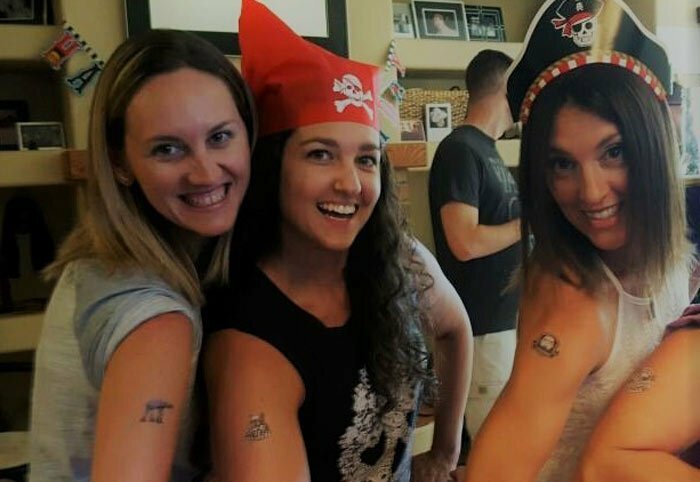 You told me that during your 20-plus years in the Marine Corps, you often felt excluded from the military spouse “sorority”—a sorority of which I am a part. You said that in a vocation surrounded by men, you craved female friendship. You described spending “mandatory fun” events and barbecues on the outskirts—worried that spending too much time with the other male Marines would make their female spouses uncomfortable, but not feeling welcome to join in conversations with their wives. It was as though you had one foot in each camp, you said, but weren’t accepted fully in either. I want you to know that I can relate to what you described, because I have spent time on the outskirts as well. Before we married, my husband and I dated for five years, and I often felt excluded at events. I clung to him at unit barbecues and the birthday Ball, and not because I was shy. 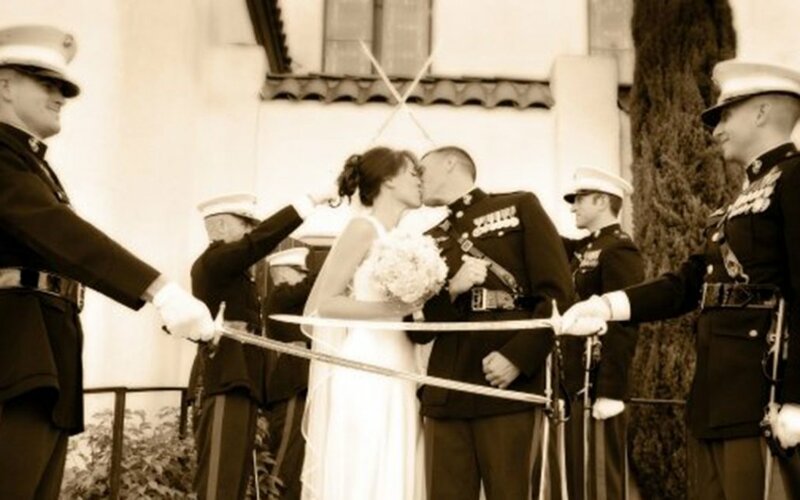 It didn’t matter that I’d been through two deployments with him, I hadn’t earned a ring yet, and so it felt as though many of the wives thought of me as “temporary.” I once overheard a spouse in Tom’s unit say that because Marines go through women like water, until I had a ring on my finger, I wasn’t worth the effort to befriend. There were exceptions. One spouse in particular defied the flock and took me under her wing, but during those first five years they were few and far between. I spent most events glued to Tom’s side, listening to jargon-heavy stories while saying nearly nothing. For me, the experience was bizarre. I’d never been blatantly excluded in any other setting, and feeling unaccepted was painful. Anyone who has ever been to a unit barbecue will recognize this phenomenon: The wives almost always cluster together, sipping wine or something suitably feminine, while the Marines spend their time huddled around coolers of beer talking shop. It’s admittedly archaic, but for the past decade it hasn’t been something that I thought much about. Having earned my ring, I was secure and comfortable in my “permanent” status as wife—my days on the outskirts happily forgotten. Although now I am the first wife to welcome a girlfriend into the fold, I hadn’t given much thought to what it must be like for female Marines in the highly stratified social setting that comprises our military reality. I’m the type of woman who relishes female friendship, who comes from a family of daughters and was a sorority sister in undergrad. I’ve spent my career working mainly in non-profits, a female-dominated sector, in female-heavy industries. I’m unaccustomed to feeling isolated anymore, and it surprised me when you told me how it felt to be a female service member on the outskirts. And upon reflection, I don’t think your misgivings are unfounded. 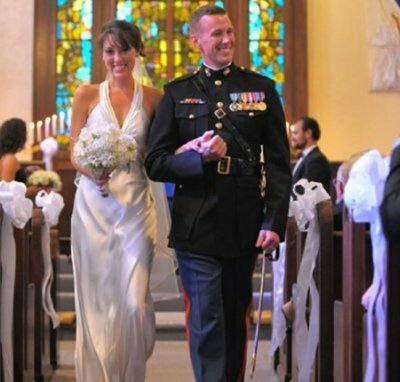 Over the years, I’ve heard plenty of wives pigeonhole female Marines in much the same way as their husbands often do. Recently, I overheard a spouse comment that the women exploited in the Marines United scandal had it coming because they were “obviously sluts anyway.” I’ve always cringed when I heard things like this, but in the past I’ve rarely corrected them. I want you to know that after speaking with you, I’ve found my voice. Over the years, I’ve heard plenty of wives pigeonhole female Marines in much the same way as their husbands often do. The day after I got home from New York, my husband and I had a “mandatory fun” barbecue to attend. In all honesty, although as a girlfriend I used to dread these events, as a spouse I love them. I don’t consider them “mandatory fun” but rather just plain old “fun.” For me, they’re where I get to catch up with friends who live extremely busy lives and are happy to have the time to chat for a few hours without any distractions, knowing their kids are at home with a sitter. But that night, our conversation still fresh in my mind, I made sure to introduce myself to all of the female Marines in the room. And then I introduced them to the other wives, who were, for the most part, gathered in the kitchen drinking a sweet, pink cocktail. I could sense how uncomfortable it was at first for one Marine in particular, and I wondered guiltily if that was the first time anyone had made the effort. She seemed confused when I introduced myself, and even jokingly asked me if I was a spy. That comment drove home how unusual it must be for a spouse to try to get to know her. But by the end of the night, I felt like we’d bonded a little, and I hope she felt welcomed among the wives. I wouldn’t say we were kindred spirits, but I like her and I hope our paths cross again. And maybe the next time she’s at a “mandatory fun” event, she’ll consider striking up a conversation with a spouse. I, for one, know that I will never again let a female Marine feel like she exists on the outskirts.